By the grace of Param Pujya Shri Mataji a one day meditation workshop was held at Panchkula on 8th August 2010 which was attended by about 200 sahaja yogis from Punjab, Chandigarh, Solan and New Delhi. 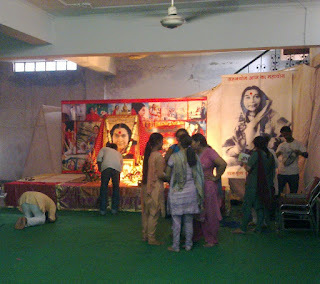 Everyone experienced the bliss of thoughtlessness and oneness with the all pervading powers of Shri Mataji effortlessly by simply offering humble prayers and expressing our desire to be one with HER. The program was organised by the Chandigarh collectivity along with yogi brothers and sisters from Delhi.